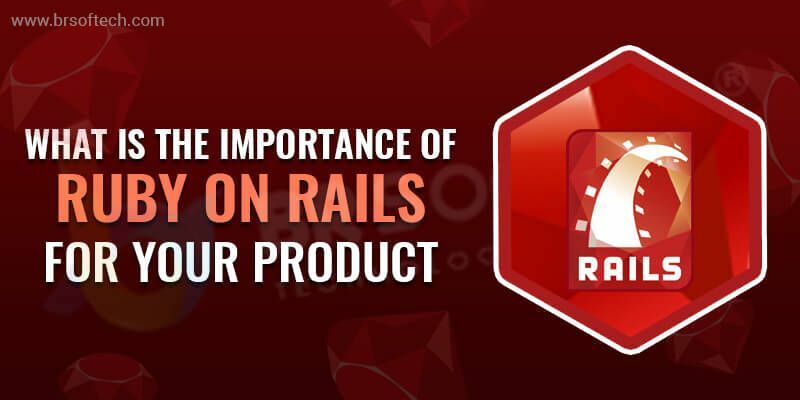 What is the Importance of Ruby on Rails for Your Product? Over fifteen years have passed since the Ruby on Rails technology has been introduced to people. The Ruby programming language has played an essential role in the creation of server-side web app framework. The RoR framework is startup friendly, flexible, well supported. Even we are not single to say this true, the inventors of Airbnb, Twitter, Twitch, Shopify, Netflix, and several more successful startups are using Ruby on Rails to build their world class websites. Their some Ruby on Rails developers might build web applications with a Java or PHP. Today there is a high quality of software development tools. Although, this framework, which is often called RoR or Rails, has achieved a significant popularity leap. Reliability and functionality is the name of the RoR PHP framework. In this post, we would like to talk in detail about the benefits of RoR for your business and inspire you to build your own Ruby on Rails startup. Why Ruby is Best for Your Product ? The most important point about RoR, the bulk of this blog will outline the pros of Rails itself. The point is the main goal of a programming framework is to eventually allow empower end users who actually have no interest in the programming framework. After a depth discussion in short RoR save the time, which enables clients to save money and enjoy a robust affordable product. The rest of the discussion will focus on Rails from a programmer’s perspective, it all goes back to this fundamental point. Faster then other:- The Rails’ cuts development time by 25 to 50% compared to other languages used to build web apps. It’s a great choice of development when you deploy and send a product to the market very fast. This is possible because of open source code that is already developed by the community. Object-Oriented:- Most of the programming languages are very tough to use and write the code. Ruby developers can create virtual objects in their code and each object can have its own specific attributes interact with other objects to perform actions. The developer can easily rewrite the code in future programs. Easy to maintain and support:- When you release the project, at this time you need a much support and maintenance are much more important as they guarantee flawless work of a web app after months and even years of regular working. When the source code is not good quality the support and maintenance of the project be difficult and expensive for you. RoR promotes excellent coding practice, there are gems that help web development companies in the various ways to improve the coding style, test code and debug it on short notice. Maximum of the result in a superior quality of a finalization easy to support and maintenance friendly. The Rails conventions also make it easy for developers to move between different Rails projects, every project will tend to follow the same structure and coding. The process of programming is much faster than other frameworks and languages partly because of the object-oriented of Ruby and a vast collection of open source code. Rails are good for rapid application development as the framework to make it easy to change. Ruby on Rails has developed a strong focus on testing and good testing for a framework. RoR have biggest open source libraries, unlike other commercial development frameworks, there are no licensing costs involved. The code is very readable and mostly self-documenting. The progress productivity as there is smaller need to write out a separate documentation, making it easier for other developers to pick up existing projects. Security:- Ruby on Rails framework has some security features, the RoR community always maintains a safety point. The most used gems are well maintained with security inbuilt options. Rails have two principles, the Rails community of users, Great open source libraries, the meaning of open source is the code that makes it work, it’s open to the public and the framework itself free to use. It’s not wrong to say that rails are commonly used for building a web application. Some of the most famous sites that maximum of people know was built in Rails such as – Airbnb, GitHub, Basecamp, Shopify. Above we share the how Ruby on Rails is playing an important role in your product and fast growth of your business, most of the successful companies use RoR to get future growth and success. It serves well for us by allowing the speedy development of dynamic web applications. If you are Hire Ruby on Rails Developer contact us freely. BR Softech Best web development company. We have a highly qualified team of developers.